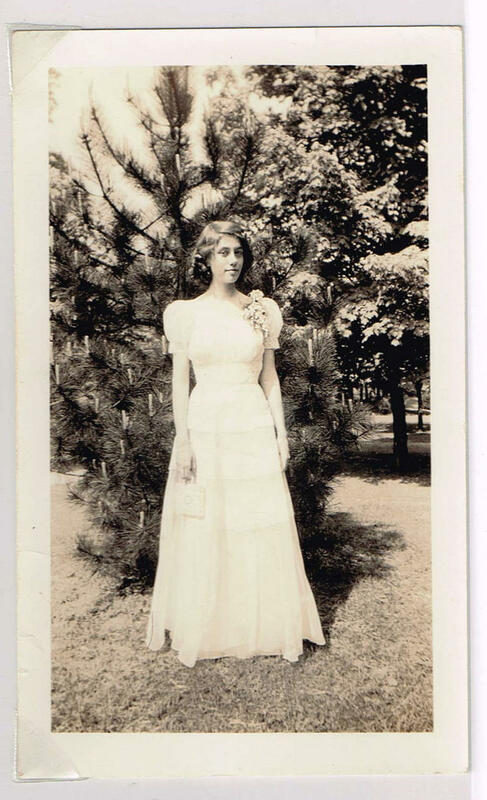 Pattie Anne Watkins, Sarah's grandmother, in 1941. She was 16. Sarah Simpson wasn’t interested in history or her ancestry until she inherited a box of her late grandmother’s diaries from the 1940s, when she was in her late teens. Reading those diaries gave her a different perspective on “Grammy” and helped Simpson realize the similarities between the two of them, especially when she went back and read her own teen journals. Sarah Simpson talks about her website,'Parallel Entries'. explains the psychological benefits of journaling, and shares tips for those who don’t know where to start with guest host Anita Rao. Comparing her writing with her grandmother’s inspired her to create the website “Parallel Entries.” The site catalogues the journals of many different people by date, connecting people across the centuries. Simpson is the curator and editor of “Parallel Entries.” She is also a licensed professional counselor associate in Asheville. She talks about the website, explains the psychological benefits of journaling, and shares tips for those who don’t know where to start with guest host Anita Rao. I know a lot of diaries just get destroyed or lost. And I think that's a real shame. I think these are holy documents even. They're kind of bibles that we can learn from and feel more connected to each other through. Studies have shown that expressive writing improves immune function because it reduces stress. Immediately after writing, heart rate and blood pressure have been shown to drop. While people write, the sweat on their palms reduces. The benefits can be immediate. People heal from actual physical wounds faster if they're writing about emotions or what James Pennebaker calls "expressive writing." 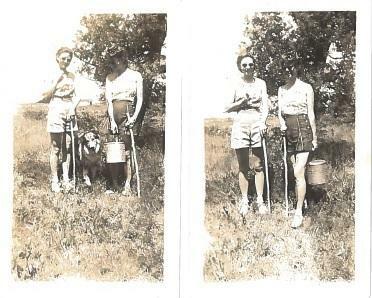 The two photos referenced in Patti's diary entry, with Ted, the neighbor's dog. Dear Diary -- August has started off beautifully. The sky is so blue, it is warm, and there is a heavenly breeze. The minute Mary and I got up we decided to go for a hike up the shore. So we rushed through the dishes, beds, and to the store and back. Mother fixed our lunch and we were off, clad in shorts and halters, with our bathing suits in a rubber bag. Just as we were leaving, we decided to have Mother take our picture. Ted came over just then, and we lured him into one, but couldn’t get him into the second one.